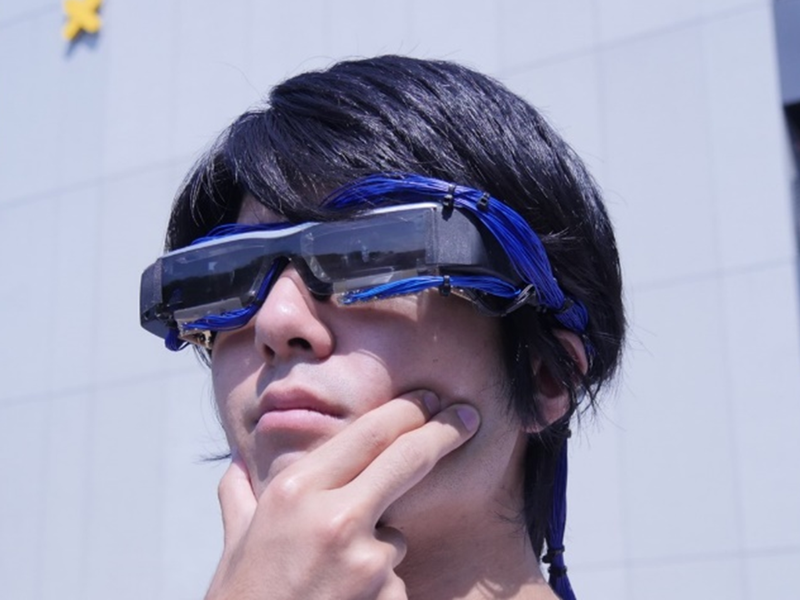 We propose a novel technology called “CheekInput” with a head-mounted display (HMD) that senses touch gestures by detecting skin deformation. We attached multiple photo-reflective sensors onto the bottom front frame of the HMD. Since these sensors measure the distance between the frame and cheeks, our system is able to detect the deformation of a cheek when the skin surface is touched by fingers. Our system uses a Support Vector Machine to determine the gestures: pushing face up and down, left and right. We combined these 4 directional gestures for each cheek to extend 16 possible gestures. To evaluate the accuracy of the gesture detection, we conducted a user study. The results revealed that CheekInput achieved 80.45% recognition accuracy when gestures were made by touching both cheeks with both hands, and 74.58 % when by touching both cheeks with one hand.